Around 1830, Lima ceased to exist as a viceregal seat to become a republican city. The old customs began to be remembered and, nevertheless, still remained alive in the memory many years later thanks, above all, to the traditional costumed watercolors of the mulato Francisco "Pancho" Fierro (Lima, 1807-1879), who wanted to reflect -and celebrate- in them the world that he knew, carefree and vital, without pretending to modify or upset anything. Tipos del Perú. 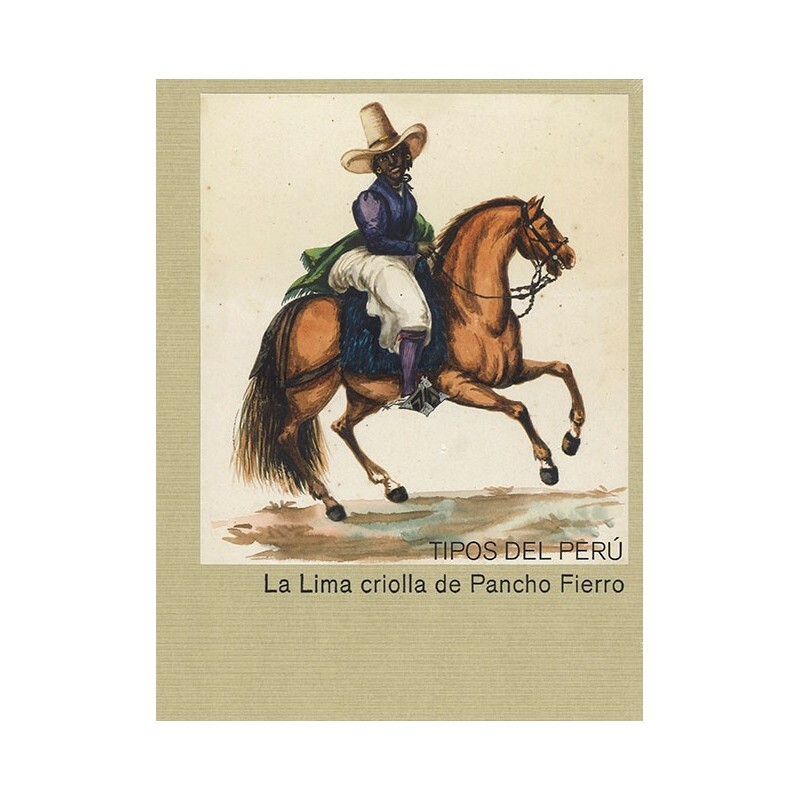 La Lima Criolla de Pancho Fierro collects a large part of the painter's Lima watercolors, or attributed to him, preserved in the Hispanic Society of New York. The book includes a roll-out of the Hispanic scroll, also attributed to him, in which the procession of Holy Week is represented by the street of San Agustín, and which is accompanied by a text by Marcus B. Burke, curator of the Hispanic. The work is completed with an essay by the director of MALI (Museum of Art of Lima), Natalia Majluf, on the origin and development of watercolors of types, writing that helps contextualize the watercolors of Fierro himself.